Check off boxes for all the various electrical services you performed. Eliminate extra writing. Quick glance design provides fast, efficient analysis of the troubled areas. 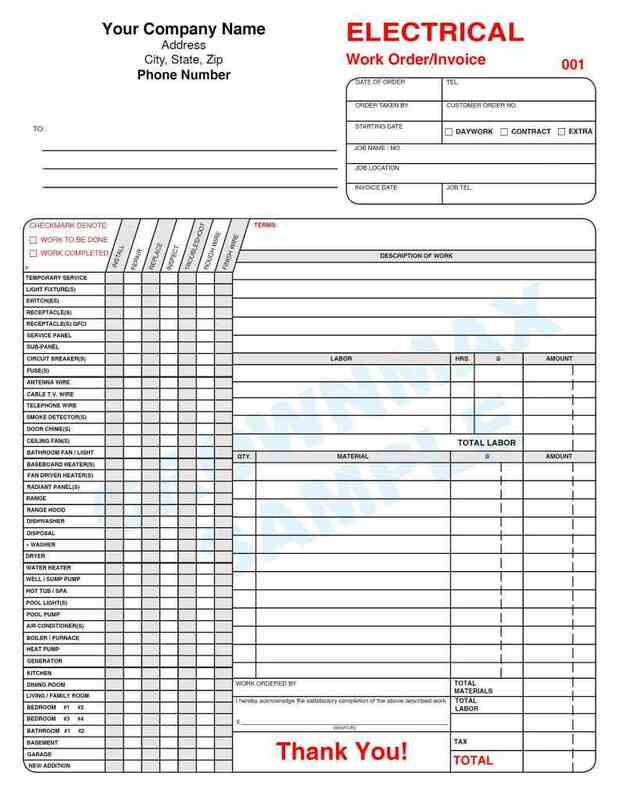 Backside of form has space for additional materials, services & labor to be listed. Printed on 3 part carbonless (white, yellow & manila tag) paper in Red & Black ink. 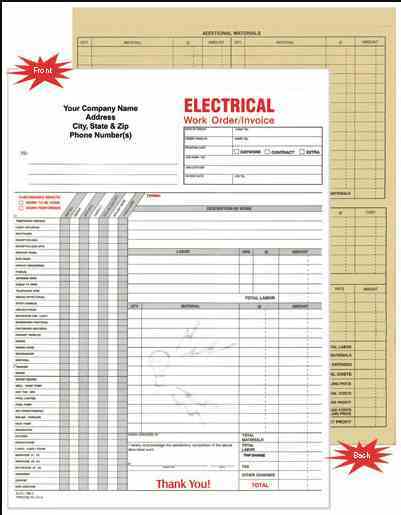 Company name, address & phone number imprinted at no additional charge. Size is 8 1/2 x 11. Consecutive numbering starts at 101 unless otherwise specified.